You’ve seen it: the unrequited, the ill-matched, the people who just never should have met in the first place. People who are so much opposite that you wonder why they don’t just murder each other. Alright, that last one is a bit extreme. Actually, it isn’t. I know some people. Anyway, Pyro Jump is about a flame who is in love with a paper doll, and he will overcome any obstacle, jump any gap, and avoid any spike that stands between him and his cherished one. She’s not too into it for obvious reasons, but the game’s fun. When I don’t hate it. 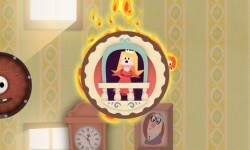 Pyro Jump is a platformer that has you controlling Pyro, a cute little fire guy in pursuit of his ideal woman: Princess Paper. What that means for you is that you have to guide Pyro across the game’s many levels by tapping on your screen to tell him when to jump. He’s made of fire, so he sticks to everything because science has no place in cartoony platformers. If you only care about getting to the end, you can. But teh hardcorez have two ways to test their skills. 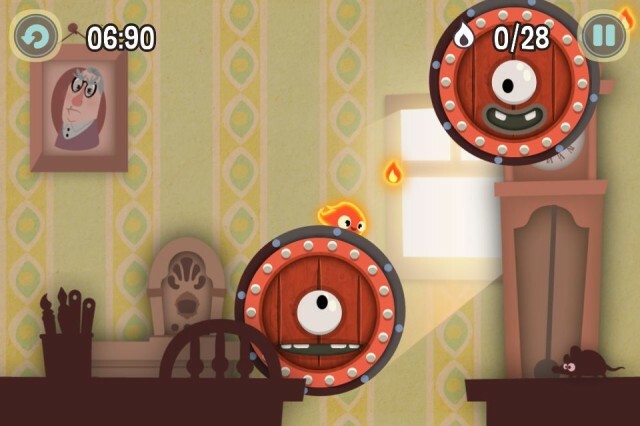 Each level includes time and collection goals to reward players who want to look for the most efficient route and collect all the tiny flames along the way. It’s fun. When I don’t hate it. And with those challenges just sitting there in front of you, why wouldn’t you try for them? Why shouldn’t it bother you when you miss your timing by a split second and don’t pick up one of those collectibles? If it doesn’t, I envy you, but The Quest for the Perfect Run is a powerful draw, and once you start it, you realize how annoyingly picky Pyro Jump is. 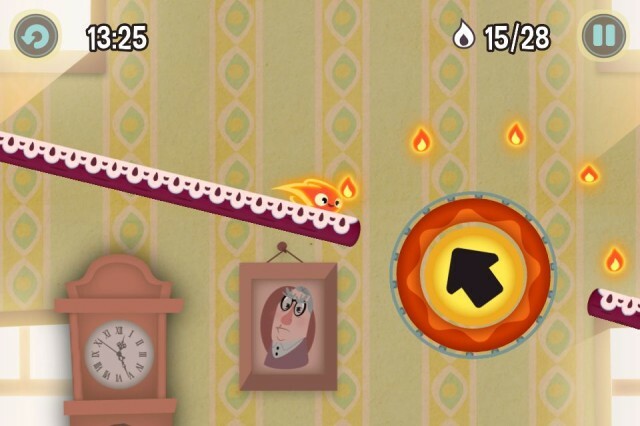 Gold-medal times require near perfection with little margin for error, and collecting every item means figuring the exact tiny angle at which Pyro must leap from rotating platforms. Obviously challenges should be, you know, challenging, but it feels like a bit much, even for my obsessive-compulsive brain. The Good: Looks cute, controls well, and it’s very forgiving if you aren’t trying to complete absolutely everything. The Bad: If you are trying to complete absolutely everything, it will ruin you. The Verdict: It’s a cute, quick platformer that has plenty for casual players and obsessive types alike.